How to Create a Blog Post for Customers and Search Engines. Blogging for Customers and Search Engines correctly is a key component to a successful Blog. Using these effective strategies and time tested methods when creating your post can make a huge difference. The first thing when writing a post is to determine the audience you are writing for, the product or concept you’re promoting, and the geographic market you are targeting. In this scenario, we are creating a Blog post to drive readers, consumers, and search engines to your Blog which is All About Your Area. Things like “Vacant Land“, “Open Houses“, “Loan Modifications“, “Tax Credit“, “Pest Control“, “Relocation“, “Market Statistics“, “Short Sales“, “Condos” etc. 2. Repeat the title in BOLD in the first sentence of your blog post. example: “Vacant Land For Sale in Bend, Oregon” and now priced better than ever! Build your dream home in Bend, Oregon!” By creating the first sentence of your post to include the title and BOLD key search words, terms, or phrases, you’ll increase the potential of being found and then read. That first sentence is typically the first sentence that shows up under your TITLE within the Google search results. It’s an important part of getting the search engines to recognize your topic and see it’s relative content. It’s also what will help a consumer decide if they want to click on your link or NOT! 3. Write your blog posts to the title…then add in good content that a customer would want to know about. It takes a bit more time to think this strategy through, but the results and rewards will be tremendous. This in NOT the only way to gain SEO and more exposure, but it’s a great place to start if you’re new to Blogging and are wanting quicker results from your time and efforts here. Creating posts and Understanding Long tail and Short tail search terms: Short tail searches are just that, very short keyword searches. example: “Homes for sale” or “Homes For Sale Austin, Texas“. This is where most searches begin during the early stages of research by consumers. The Long tail search comes into play the closer consumers get to making a final purchase decision. example: “Gated Community Homes For Sale With a Pool in Austin Texas” Justin Smith explains more about Long tail/ Short tail searches in his post. You can also find more details by searching Google for “Long tail and Short tail searches.” Here’s a video that might help make heads or “tails” about this. 4. Go through your blog post and make sure that the words of your title are repeated a minimum of at least three or four times. At least one time every other paragraph or so. 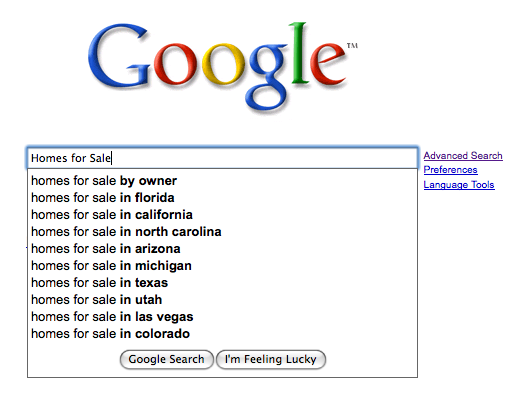 You should also bold those keywords so they stand out to the reader and to the search engines. You need to be somewhat creative in doing this and remember, don’t over do it. 5. Tag your blog posts with other keywords and phrases the customer may type into Google. These should be topic related and relevant to your post. Do not try to game the search engines by packing in keywords that have nothing to do with the post, this will do more harm than good in most if not all cases. Also make sure to include images and links to relative sites, this will create more stickiness and add value to your posts. Creating a Blog Post for Customers and Search engines is not that difficult once you understand some of these basic concepts and then practice and apply them on a regular basis. This is not to say you shouldn’t write about other topics both personal and business, even those can be tailored to get you better results with customers and search engines. We tested this theory on the Fourth of July Weekend and you should see some of the results ActiveRain members experienced. It really does work. VERY IMPORTANT: If your post on ActiveRain is (MEMBERS ONLY) then none of the above applies.